Mix first 5 ingredients together and form into balls. (Size is up to you) Melt chocolate and wax together. Sitr well. Dip balls in chocolate and place on waxed paper to cool. Keep in closed container in refrigerator. I know it may seem weird to put wax in the recipe but it makes the chocolate harden. You can find this in the baking section. These are amazing. How can you go wrong with peanut butter and chocolate?! 3. How did you learn to make this cookie? My Grama used to make these so I have wonderful memories visiting her at Christmas time in Southampton, a town on Lake Huron in Ontario, Canada. 4. Please share a story or memory to go along with the cookie. I’ve been making them since I was a little girl and as a mother of 2, they have been our family’s favorite Christmas cookie which were always left for Santa. 1) In a large bowl, mix together oil & sugar until well blended. 2) Mix in the vanilla & almond extracts, then beat in the eggs. 3) Combine flour, salt, & baking powder; gradually stir into egg mixture. 4) Mix in cranberries & pistachio nuts by hand. 5) Divide dough in half. Form two logs ( 12 x 2 inches on a cookie sheet that has been lined with parchment paper. Dough may be sticky; so wet your hands with cool water to handle dough more easily. 6) Bake for 35 minutes in the preheated oven, or until the logs are light brown. Remove from oven, and set aside to cool for 10 minutes. 7) Reduce oven heat to 275 degrees F ( 135 degrees C). 8) Cut logs on the diagonal into 3/4 inch thick slices. Lay flat on sides on the parchment covered cookie sheet. 10) Cool on a baking rack. Enjoy! Once they are completely cool, you can store in a canister or zip lock bag. In the refrigerator, they will last for weeks. I love this recipe because it is easy, children can help and it is so festive with the red of the cranberries, and the green of the pistachios! I made these after purchasing commercial grade biscotti and decided I wanted to try making them myself! pre- holiday surprise! I will send a photo when I get a batch made! Grease and brothel the two baking tins. Melt the butter. Whip the sugar and eggs until fluffy. Add the rest. Bake the cake in the bottom of the oven for about 40 minutes at 175 degrees. This is my grandmas recipe. It´s in Swedish measures cause I don’t know how to translate them, but there are conversion sites on the internet! 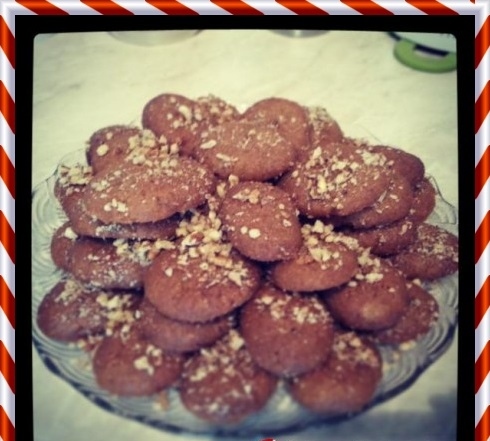 I love this recipe because it´s very simple and makes me think of Christmas. It´s my grandmas recipe and she taught me how to make it when I was little and now the tradition lives on. Let’s make traditional Greek Melomakarona with Andrea Koutsonikola from AJRUSTICCREATIONS As with most holidays in Greece, Greek Christmas also revolves around food! Traditional Greek melomakarona! 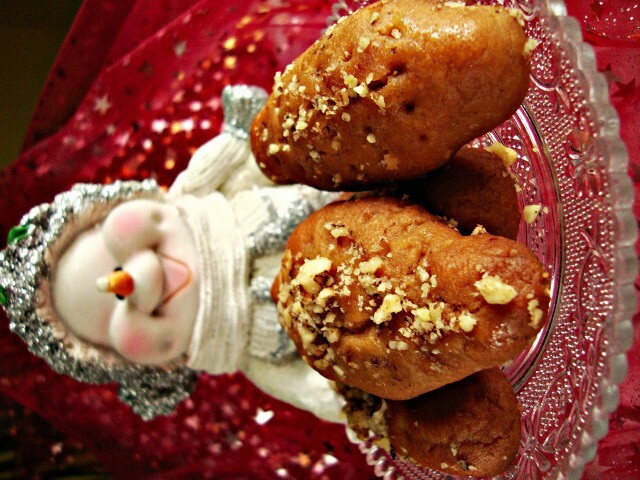 Melomakarona are my absolute favourite Greek Christmas treat. And how couldn’t they be! Greek melomakarona are incredibly soft, moist and flavoursome, soaked in a delicious honey syrup and infused with fragrant butter. 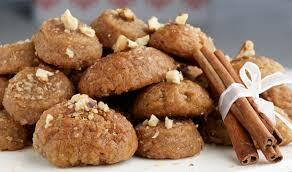 For an authentic last touch sprinkle the melomakarona with chopped walnuts and just a pinch of cinnamon and clove. Once put in the oven, the intense aromas of the sweet spices permeates the house and brings back childhood memories. Just heaven! Try out this traditional sweet delight and let the smell of freshly baked cookies, orange and cinnamon remind you it’s Christmas! Enjoy! In a large bowl, add the flour and the baking powder and blend with a spoon to combine. Add the mixed oil, butter and sugar (from step 1) in the bowl with the flour and pour in the cognac, beer and orange zest. In a cup add the orange juice and baking soda and blend, until dissolved. Be careful when doing so, because the baking soda will start to foam out of the cup; so blend in a cup placed over the bowl with the rest of the ingredients, so that the foam will end up in the bowl. Pour in the bowl with the rest of the ingredients and start kneading your dough. Knead the dough for the melomakarona using your hands, until the ingredients combine and the dough is smooth and soft. Be careful not to overwork the dough. Leave the dough to rest for half an hour. Preheat the oven to 200C. Layer the bottom of 2 baking trays with parchment paper and start shaping the melomakarona. Pinch a portion of dough about the size of a walnut (or bigger, if you prefer) and shape with your palms into a smooth oblong shape, like a small egg. Place on the baking tray, push lightly the top with a fork and make some holes on top (not all the way down). Continue with the rest of the dough. Place the baking trays with the melomakrona in the oven and turn immediately the heat down to 180C. Bake for approx. 20-25 minutes, until the melomakarona are lightly browned and cooked through. A little bit before turning the melomakarona out of the oven, prepare the syrup. Pour in a pot the sugar, honey and water and bring to the boil. Boil for 5 minutes, until the sugar has dissolved (do not stir the syrup). When the melomakarona come out of the oven, float them in the hot syrup, flipping them with a fork to absorb the syrup. Remove the cookies using a slotted spoon, place on a platter and sprinkle with chopped walnuts. Store the melomakarona at room temperature in an airtight container. 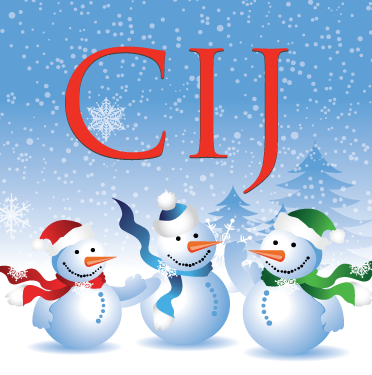 They will last for all your Christmas Holidays! traditionally, butterscotch chips are added but don’t care for those, hence the two cups of chocolate chips. Preheat oven to 350 degrees F (325 degrees F for glass baking pan). In small bowl, combine graham cracker crumbs and butter; mix well. Press crumb mixture firmly on bottom of 13×9-inch baking pan. Pour sweetened condensed milk evenly over mixture. I love these because they are so flavorful and rich. When I was younger, I could eat a ton of them. Now one or two will go a long way for me. I first learned about these in college and spent the summer making them at home. Became my favorite cookie to make because they weren’t a lot of work. I made these again recently and for some reason, they didn’t come out right and my husband asked, “Are you sure this is the right cookie?” I will make them again and get it right!